With the changes to cruisers they are ridiculously fun. The cheapness encourages massive rampages across space. The gategun changes have opened the field back up to frigates and assault frigates are amazing tackle with the new mechanics. This was a fun night with explosions on all sides. Earlier today, I said that I'm going to be good and start grinding my sec status back up. Do some ratting every day and let it trickle up. So, now I'm down to -7.9 from -7.1. After the second pod I went, "Damn it I said no more pods!" Oh well. I never can remember at that exact instant. I doubt I'm the only one that sat in their hanger flipping through their ships to decide what to take out and play. Sometimes it's this, sometimes it's that. As I idle I often do little maintenance things like check ammunition and drones. I have several ships fit but I tend to fly the same ones over and over again until they explode, then I move to the next one. The notice that the roam would go out soon came up. People had things to do and I decided to run and get one of my cynabals for something new. I'd been doing my radar sites in it earlier in the day and working on range. In my hurricane, I spend most of my time in peoples face. The cynabal is a different beast. It's about speed and range and keeping that sweet spot when it comes to distance. But then I realized it was a T1 cruiser roam. Now, the cynabal is a tech 1 cruiser. But it's a tech 1 cruiser and fully fit my price tag is over 300 million. The other ships, fully fit are around 15 million. This makes the cynabal shiny. Shiny things attract primaries. So, my cynabal was tucked back into its hanger and after twiddling my thumbs a bit I decided to fly a Jaguar and spend some time tackling. I'm not bad at tackling but I've spent most of the last six months inside of a hurricane. I am not in love with the rupture. I have tried for the past year to gain affection for it and I just have not. It's not a bad ship but it doesn't give me tingles. The call for the fleet went out. It was hitting towards prime time and TEXN has trickled on. Fried had to run off and tend to IRL things. It happens. Once we finally got moving we started out as Vexor, Caracal, Moa, Rifter, Rupture x2, Thorax, Jaguar. I invited Lain from Pirates vs Carebears to come out with us as another tackle ship since he was running around like a hyperactive pinball in high sec. We had someone to pick up from high sec on our way around the Molden Heath loop. He is a new member to TEXN. As we swung through one of the busier low sec to null sec connections we came across two fleets that we thought were one fleet. They seemed to be somewhat chasing each other but not chasing each other. Both groups hag logistic cruisers with them. 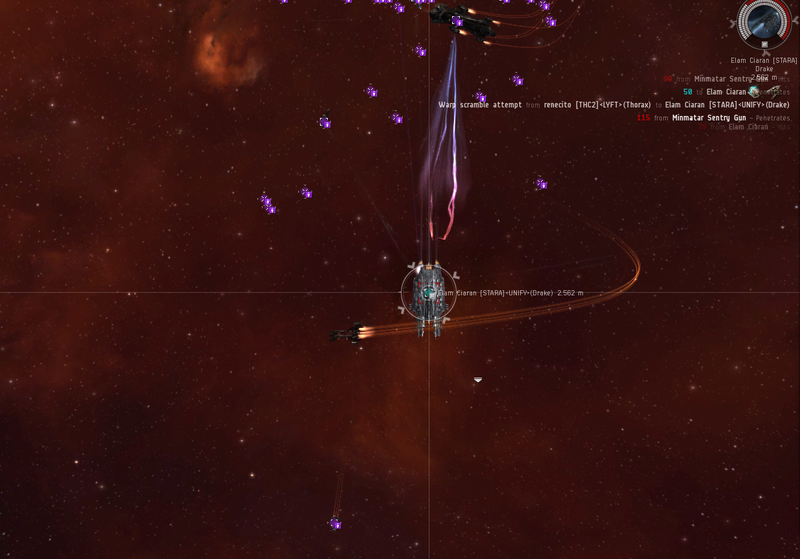 Both groups were battlecruiser heavy. No one wanted to engage us without us taking gateguns. Our fleet was 80% flashy red outlaw and everyone else but Lain yellow. We bounced around a bit and decided to just leave the system. The two groups had the same idea and we realized that they had also separated us. Ahead of us were 3 Hurricanes, Vagabond, Scythe, Ferox, Blackbird, and a stabber. They jumped every time we landed on a gate with them. 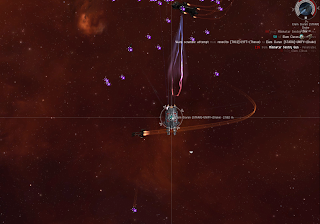 We wound up chasing them all the way to one of the high sec connections where they turned to fight. But they were not willing to touch us without us taking gateguns. We landed on the gate with them but they were not willing to shoot at us first. Then someone activated killrights on Kittens even with his outlaw status. He just burned away and we moved the fleet to a planet and invited them to come and play there. They declined and said that yes, they wanted us to take gateguns. Their blackbird came and checked us out and warped away. We managed to get someone else to get them to chase him off the gate a bit but in general they were glued to the gate. The fleet commander took a poll on who wanted to go and kill them. "We're going to kill their canes and probably lose a lot of stuff." Everyone x'd up yes. We turned and went to take them on the gate. I held Lain back and told him that our task was to take down the blackbird and the Scythe. We would kill them or chase them off the field but we had the speed to go after them and they'd probably both be away from the fleet. We landed out at 30k from the rest of the fleet and sure enough, the blackbird was 50 off of us. Immediately, we descended upon him and as soon as he was locked he bailed. Then their hurricanes started to jump into high sec. Lain and I went for the Scythe and he immediately ran away as well. The fleet had killed one Hurricane and started in on the Ferox that had motored away from the gate some. I went to tackle their stabber but he jumped out as well. We finished off the Ferox and warped out to pounces and returned to take the field without losing anyone. Because they bailed when we started to actually engage them. They jumped into high sec and they ran. They should have killed most of our fleet. With the fleet mobilized we ran off to see what we could find. We had a play with a Vagabond but he was moving with a quickness and we lost point with the frigates having to break off because of gateguns. We killed and podded a Rifter. I looked at the pilot and he was listed as being two or three days old but part of a null sec corporation. Ahh, my sec status on that one. I'm not sure if I should feel bad or not. It was an empty clone. We meandered through a low sec system that Pandemic Legion seems to have taken up camp in for the moment. A system or two over we saw a Magathron land. It smelt like bite so we kinda chewed at it to see what would happen. Sure enough, after a minute or so local spikes and two guardians and an Oneiros show up on dscan. Most of the fleet deaggressed but that's when the Mega aggressed and pointed Diz in his Vexor. We knew one ship was going to go down. T1 cruisers with no logi. Then another mega and an Abaddon landed as well. Lain also got neuted to death and blapped and the rest of us bailed. Once we had everyone situated Wolf had to leave so sold his Ruppy to Diz who now didn't have to reship while we hunted for a frigate for Lain. We ran back through the little PL group since they had a bunch of battleships and pointing our shield fleet wasn't going to happen. 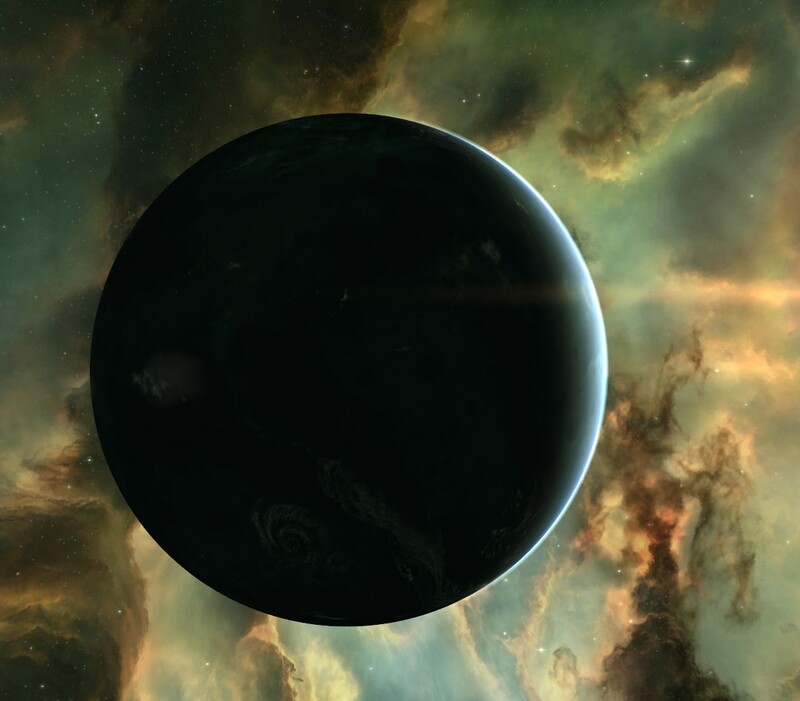 Through them we darted and ran off a few systems further to trade ships and sent Lain to reship in Hek. In general, I hate Evati with a passion. It has a system named Arnher and one named Anher. One is high sec and the other is low sec. I jumped intot he high sec system once while panicking and taking gateguns with GCC while being chased by something. Concorded. It's just a special type of evil. Resettled, Lain now in a Slasher instead of a Rifter and Diz in a Rupture instead of a Vexor and down by one pilot we headed back out. That's when we found the Tornado. We tried to grab him on a regional gate but regional gates are enormous and he bailed. We caught up a system later and he slowed down and waited. As he jumped through and the FC called for us to jump and tackle him, A Tristan a Drake and a Myrm landed behind us. We'll take that fight. The Tornado decloaked and was swarmed. By the time the Drake and Myrm made it through he had exploded. The Drake was called Next and the Myrm was pointed and bumped and the Tristan wandered off and sat about 20k away from them. The Drake was going down. I took pot shots at it and the Myrm but I went to deal with the Tristan which the FC said we'd volley. I decided that if I couldn't kill a Tristan in my Jaguar it was a sad, sad day. I went and tackled him and started ripping him apart as the fleet worked on the Myrm. LR tossed a volley my way and the Tristan was no more. Once we were a few jumps out of Amamake, Ender decided to join us in a Cynabal. Havalok also caught up in another Jaguar. And another Caracal joined. Our Caracal got into a fight in the top belt but a bit of name confusion sent the tackle to the wrong person and we didn't get on grid fast enough to hold down the Rupture and Thorax that killed our Caracal. Damn. Then, another tasty bit of bait on a gate turned into zealots and guardians as far as the eye could see. They bit the Loki that was bait and then the fleet became Legion, Zealot x4, x2 Oneiros, Eos. Our little T1 gang burned at that point losing, Rupture, Caracal, Moa and Slasher. The rest of us broke free. Bloody and tattered we decided to head home and reship a bit. Lain died again but he is full of good spirits and got himself in a nice handful of kills tonight. One of his bounty payments paid for the hull of his little slasher, much to his amusement. We gathered what we had, people ran back through high sec in rookie ships to reset in the high sec station one jump out while the rest of us motored back through low sec with the intent to crash a gatecamp that had been sitting there the entire time we were out. Some reshipping in high sec and low sec netted us a coherent fleet again. We had a distraction of a Raven running around but he made it to high sec. We refocused on clearing out the gatecamp. They had a Rupture a Rook and something else. They also are Molden Heath residents and know us well. With a bit of planning we got their attention and sprung our trap. Their Rupture went down while we tackled their Rook and they got their last ship out. "I knew it!" they said in Local and we could but chuckle and give the good fights. I'll wander aside for a moment to point this scene out. People often think that gatecamps are the norm. 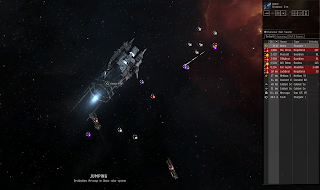 Gatecampers have to worry about other members of low sec coming and killing them since they are on a nice, easily warped to position with their fleet comp in the open. This type of situation is not uncommon for campers to deal with. People don't ignore them and go, "Oh you are doing the lords work camping a high sec gate." Anyway, it was super late and I was getting tired. We decided to swing back through and see if there was anything else before people headed to bed. That is when we ran into a group that we think just wanted to make it to high sec. Domi x2, Drake and something else small I don't remember. This was my first introduction to the micro jump drives. It lost us one Domi who jumped away. However, the other burned. We thought he was going to make it to the gate and then he just exploded suddenly. WTF? And then I pointed his pod and well. No more pod. I think that is my most expensive pod kill to date. Some 600million. The drake was too far away to make it to safety. He decided to target my Jaguar with his Heavy Missiles. They tickled. He died. The domi had empty high spots. And then I ran home and went to bed because tired. Good night. Lots of fighting. -7.9. Damn. I didn't do the entire "grind my sec status back up thing" well tonight. Sounds like a great night out - congratulations! And they took them into lowsec, words fail me. We believe they live in a 4 system high sec pocket that is 2 jumps away from mainland high sec and they were trying to make it to there.